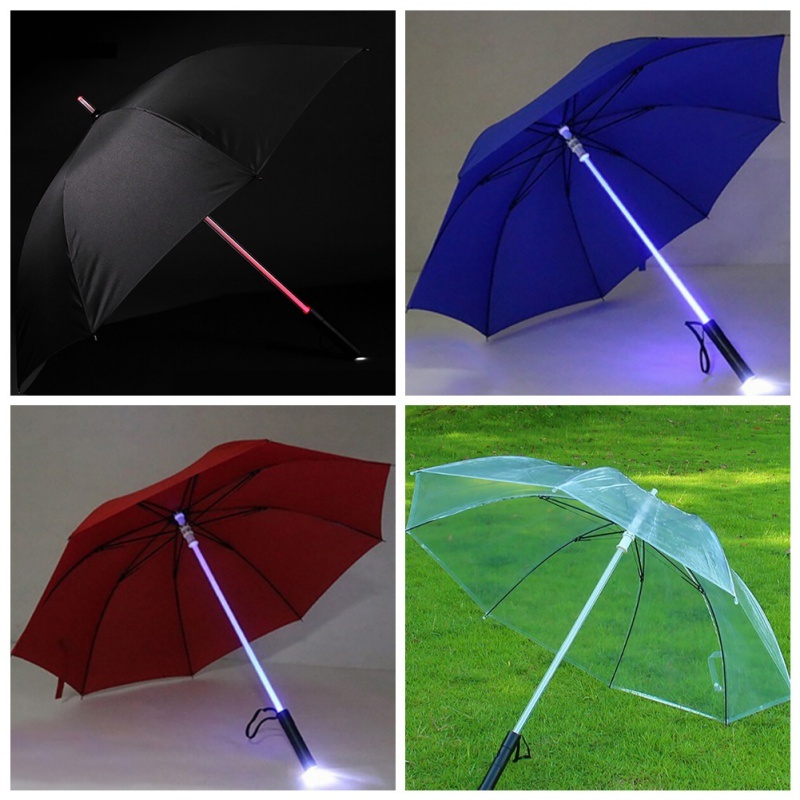 Our Safety LED Lightsaber umbrella is a must-have for any rainy day or night. 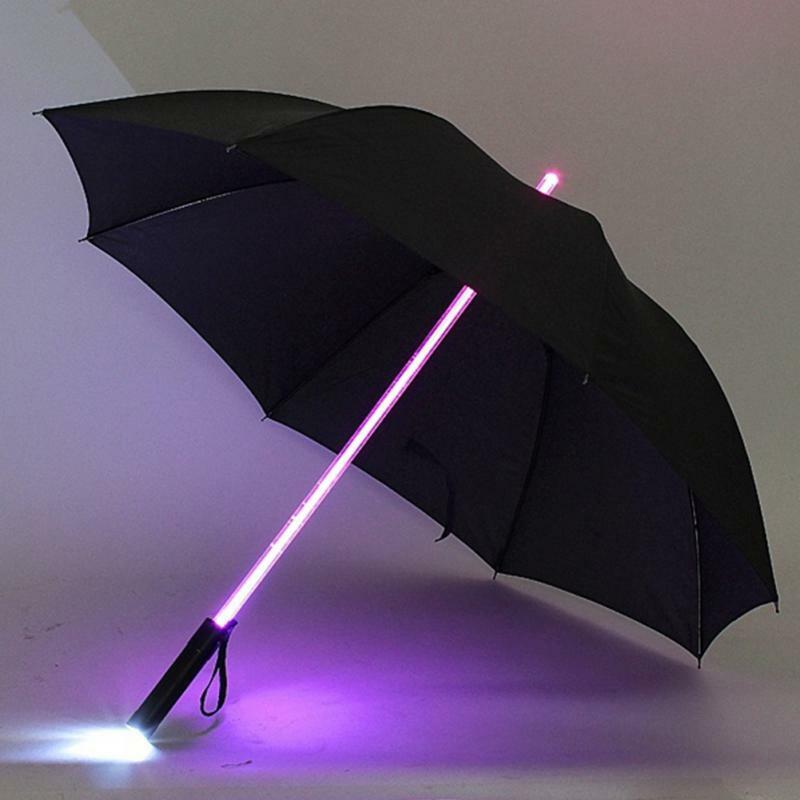 The pole lights up in a variety of colors to add some extra flare to the umbrella, while the umbrella top keeps it classy. 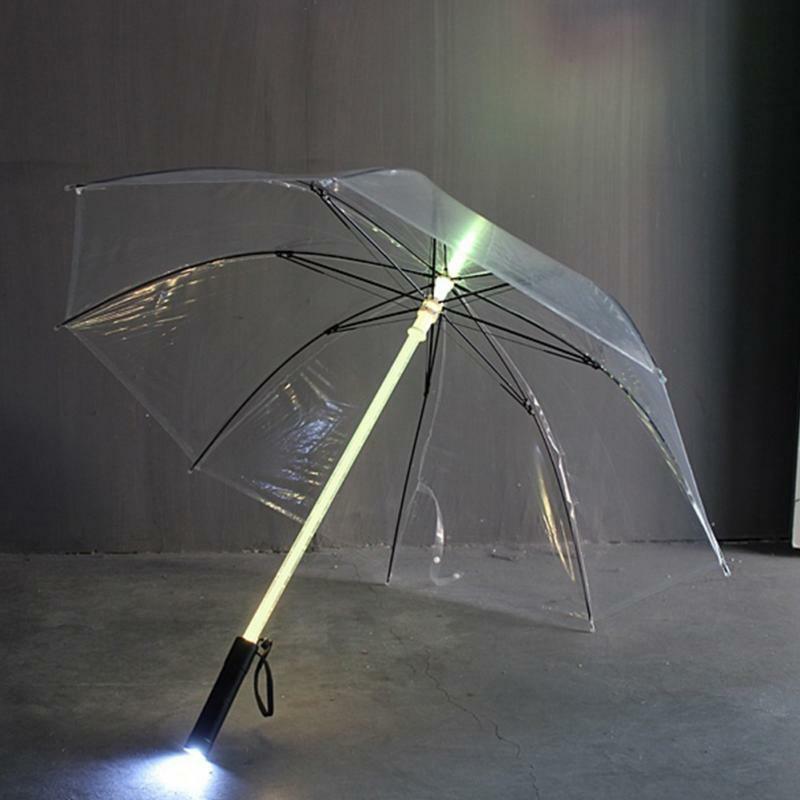 With this umbrella, you can stand out from the crowd and take on rainy days in style! 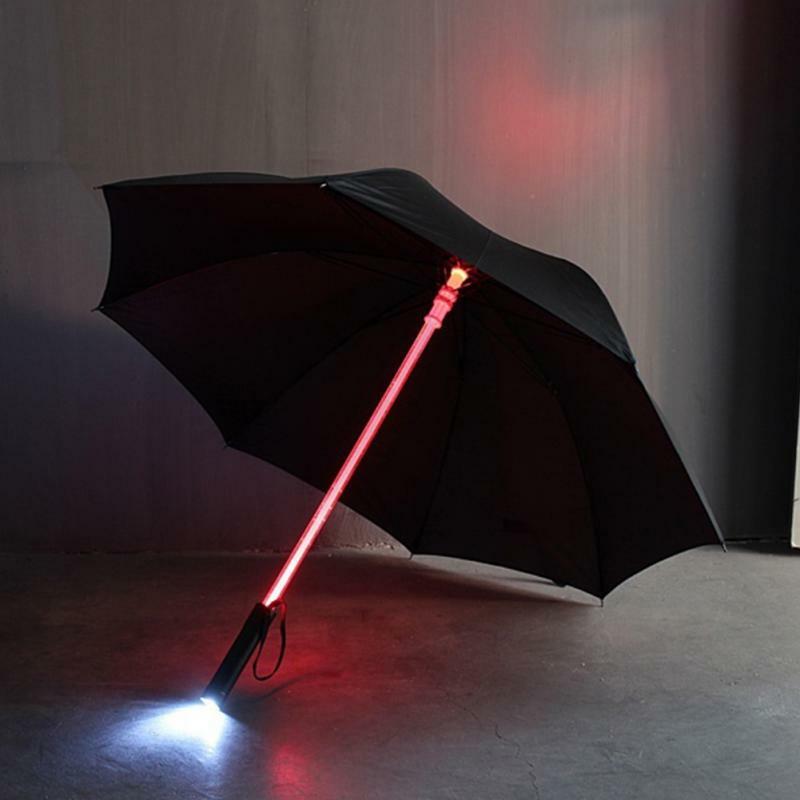 The umbrella's pole has built-in LED lights, turn on the light to be seen when walking in dark rainy or snowy conditions - it makes you more visible so you can be seen by vehicles and other people when crossing the road or walking along streets at night. And for extra safety there is a built-in flashlight in the base. Turn it on to see where you are walking on dark streets, great when walking the dog or as an added security light. Choose your LED color, by pressing the button on the handle, you can choose through 7 colors. Can be used without the light for daytime use. Please allow 10-24 business days for the item to arrive.